Arctic introduces the latest versions of the popular Z and Z Pro monitor arm series along with the new Arctic W1C monitor wall mount. The new Arctic Z1 (Gen 3), Z2 (Gen 3), Z1 Pro (Gen 3), Z2 Pro (Gen 3) and Z3 Pro (Gen 3) are the third-generation monitor arms which are characterized by its maximum load capacity and monitor support. The monitor arms offer greater flexibility compared to stock monitor stands. The monitor arms have a simple and easy-to-install mounting system and are built with high-quality manufacturing guaranteeing durability. The new Arctic monitor arms feature a matte black finish and improved cable management making it more functional and visually appealing than its predecessors. All the Arctic Gen 3 monitor arm models have an easily accessible USB hub with four ports and are suitable for both large screens and ultrawide monitors. Extensions are available for the Z Pro Gen 3 series, which allow users to mount one or two additional monitors on top. In addition, the Pro models come with a Micro-USB power supply. The new Arctic W1C wall mount is a portable and space-saving solution. The W1C is compatible with screens up to 43 "(49" Ultrawide Monitors) wide and weighing up to 18 kg. 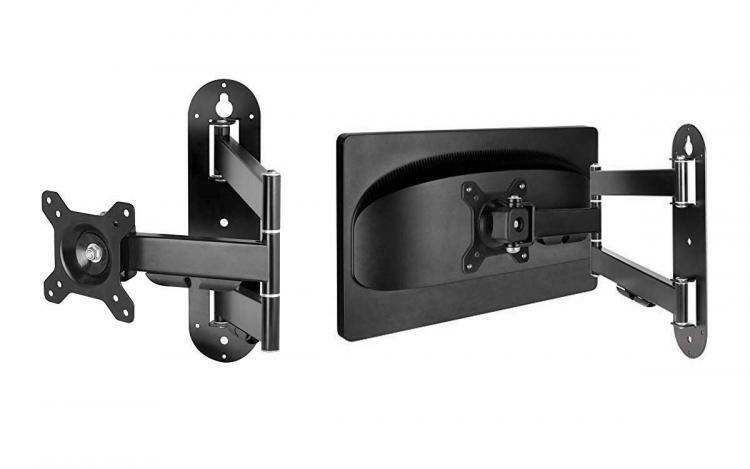 The monitor wall mount is equipped with a retractable folding arm, making it easy to adjust for optimal viewing from all angles. Learn more about the Arctic monitor arm series here.